Previous studies of Gliese 667C had found that the star hosts three planets with one of them in the habitable zone. Now, a team of astronomers led by Guillem Anglada-Escudé of the University of Göttingen, Germany and Mikko Tuomi of the University of Hertfordshire, UK, has reexamined the system. 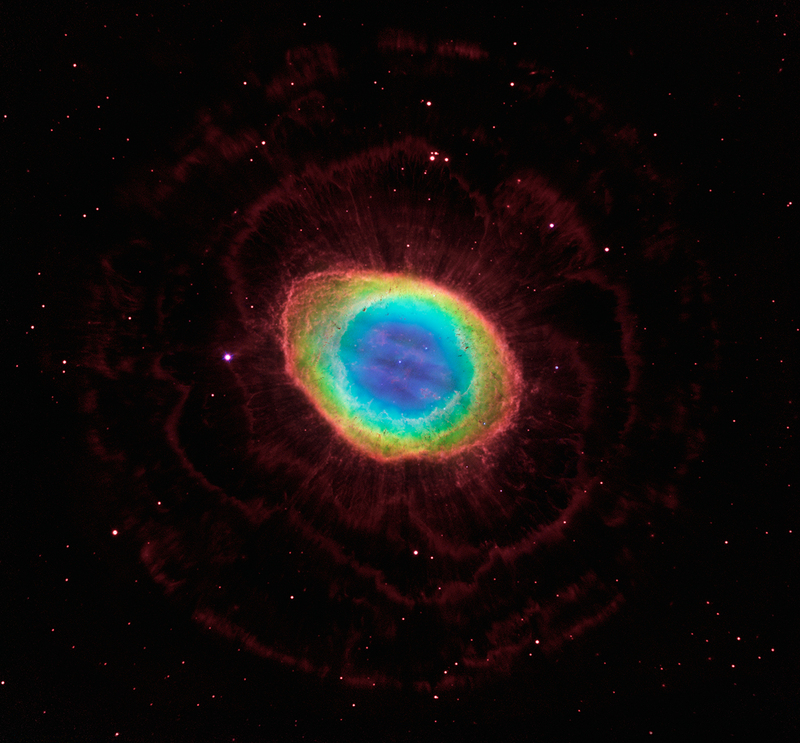 They have added new HARPS observations, along with data from ESO's Very Large Telescope, the W.M. Keck Observatory and the Magellan Telescopes, to the already existing picture. 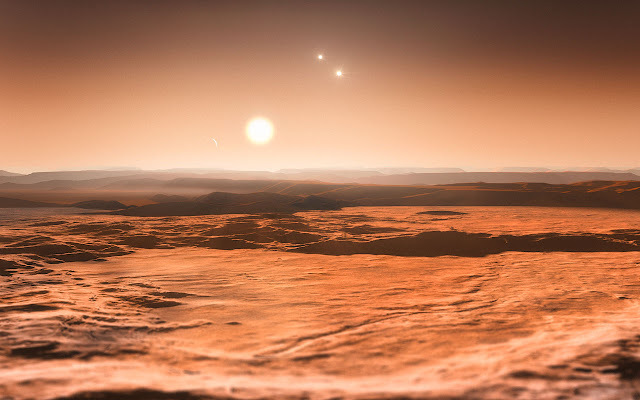 The team has found evidence for up to seven planets around the star. "To celebrate the sunny days of summer (in the northern hemisphere at least), today we're launching new satellite imagery for Google’s mapping products. This stunning global view is virtually cloud-free and includes refreshed imagery in more locations—giving you an even more accurate and comprehensive view of our planet's landscape. The result is a single, beautiful 800,000 megapixel image of the world, which can be viewed in Earth and Maps when you're zoomed out to a global view. This global image is so big, if you wanted to print it at a standard resolution of 300 dots per inch you’d need a piece of paper the size of a city block! This image is then blended into our highest resolution imagery, giving a beautiful cloud-free global view and detailed images in the same seamless map." 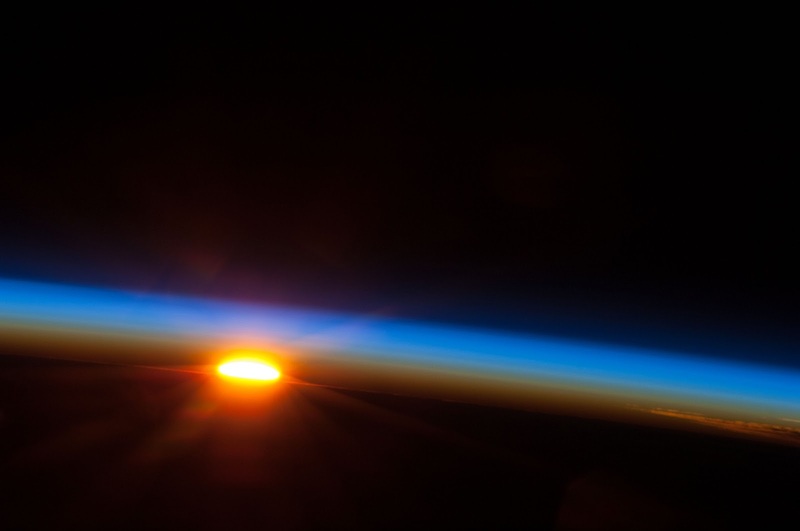 The Sun is about to come up over the South Pacific Ocean in this colorful scene photographed by one of the Expedition 35 crew members aboard the Earth-orbiting International Space Station between 4 and 5 a.m. local time, May 5, 2013. The space station was at a point above Earth located at 27.4 degrees south latitude and 110.1 degrees west longitude, a few hundred miles east of Easter Island. 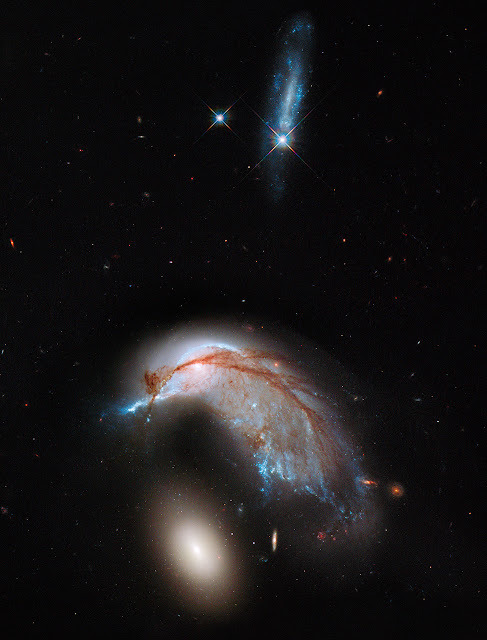 This striking NASA Hubble Space Telescope image, which shows what looks like the profile of a celestial bird, belies the fact that close encounters between galaxies are a messy business. This interacting galaxy duo is collectively called Arp 142. The pair contains the disturbed, star-forming spiral galaxy NGC 2936, along with its elliptical companion, NGC 2937 at lower left.